Nobody enjoys paying for car insurance, but few of us factor it into the cost of a new (or used) vehicle. Similarly, nobody considers paying for maintenance, gas, or taxes on their cars. The actual cost of a vehicle is typically higher than the sticker price, and insurance is a major contributor to post-purchase costs. For owners of high-end supercars, the cost of insurance gets unbelievably high. In considering how much to charge for insurance, companies consider (among other things) the cost of repairs to the vehicle, the safety record, risk of theft, and vehicle performance. 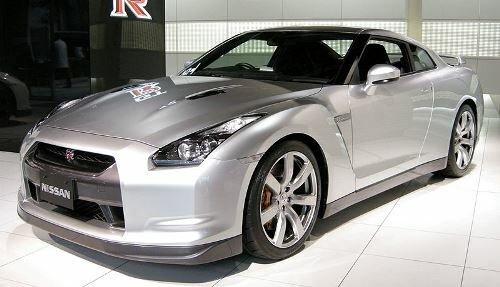 Below is our list of some of the most expensive cars to insure. It is far from exhaustive, but includes some brands you’d expect to see, and some you may not. Some of them look like money-pits; others look like they could be your mom’s sedan. All of them cost approximately five times as much as my car to insure in a given year. Premiums are rough estimates, and assume a middle-aged male driver with a clean or almost-clean driving record. BMW 750i – 0-60 in 4.7s, top speed 155mph. $74,000; $2,400 annual premium. German engineering at its finest: what you may save in insurance premiums, you’ll end up spending later when small but consequential things start to break on your 7 series. It’s arguably worth it, though – BMW makes beautiful cars with the pride of a nation behind them. may be that it seems to be involved in a lot of accidents, although there’s no way to tell if that’s due more to the car or the person driving it. Underground street racing movies have us believing it’s the latter. 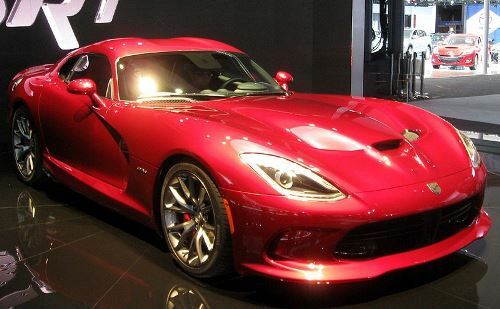 Dodge Viper SRT – 0-60 in 3.1s, top speed 206mph. $102,000 MSRP; $3,500 annual premium. There is a rumor that circulates occasionally that you have to obtain a special type of license to drive one of these cars. Although this is certainly false, one can understand how the rumor got started. The Viper is a beautiful piece of American engineering, and the only domestic car to make this list. It’s a pure sports car built for the track—and yet it’s street-legal. You do the math. Audi R8 – 0-60 in 4.4s, top speed 188mph. $115,000 MSRP; $2,900 annual premium. Tony Stark has one of these in his fleet, and it appears to be his daily-use car (thanks to what was probably an insanely lucrative product-placement deal). Of course, if you’re Iron Man, you can afford to pay the high premiums on this slick vehicle, even if you drive it every day and occasionally get attacked by bad guys in metal suits. 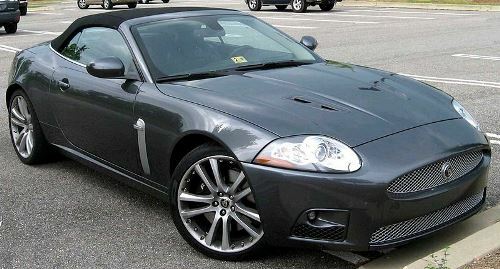 Jaguar XKR Convertible – 0-60 in 5.2s, top speed 174mph. $115,000 MSRP; $2,800 annual premium. British automaker Jaguar has shifted gears slightly, from their stately coupes towards a more Aston-Martin vibe in their XKR Convertible. The XKR doesn’t have quite as much power compared to the other cars on this list, despite what it’s racy body might suggest. 0-60 in 4.5s, top speed 183mph. $117,000 MSRP; $2,900 annual premium. We’ve discussed the hit-or-miss choices of the Porsche design team elsewhere, but the 911 is a good-looking car, and you pay for the heads you’re going to turn. Any Porsche comes at a price, and the 911 Cabriolet is no exception. In the grand scheme of things, insurance rates for this car aren’t too bad. Mercedes CL 600 – 0-60 in 4.5s, top speed 155mph. $162,000 MSRP; $3,300 annual premium. It’s essentially a luxury sedan. It looks like a Mercedes, for sure, and it packs more punch than many of its brothers and sisters. That said, it relies on quiet elegance over aggressive styling and raw power. Finally, three cars that fall into the “if you have you ask, you can’t afford it” category. The premiums listed for these cars are monthly; don’t do the math if you don’t want to see an annual insurance premium that’s probably more expensive than whatever you’re driving. Lamborghini Gallardo 550-2 – It wouldn’t be a super-car list without at least one car with a golden bull on it. The new Gallardo will go from 0-62 in a pokey 3.9 seconds and it maxes out at 199 miles an hour. But it’s a Lamborghini, so it’s going to cost you about $180,000 to drive off the lot, and then around $2,500 a month to insure. But who cares? It’s pretty much a spaceship with better fuel economy. Mercedes McLaren Roadster – Mercedes’ vehicles will pop up on any list of expensive-to-insure cars, and the McLaren Roadster is right at the top. Even with its automatic transmission, this car can get up to 62mph from a standstill in 3.8 seconds, and will keep going until it redlines at 206 miles an hour. Your initial investment will be over $500,000, and to keep it street-legal, you’ll be forking over $2,700 a month in premiums. Definitely not a bad price for a car that’s borderline dangerous. 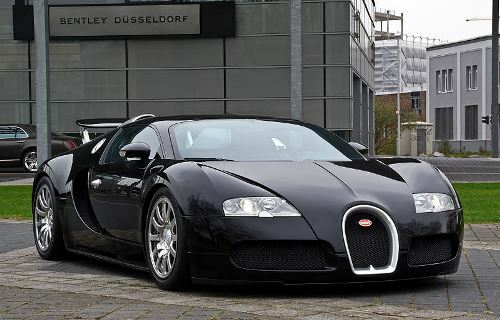 Bugatti Veyron 16.4 – This is the car that the Top Gear guys raced through Europe against an airplane…and it almost won. The Veryron is just as fast as it looks (top speed of about 250 miles an hour) – and just as expensive. This car starts at about $2 million, and the insurance averages about $2,900 a month. But if you can’t afford it yet, don’t fret; only about 150 were produced, so you’re not getting your hands on one anyway.